Wow, what a massive week I've just had! I was lucky enough to start my week with my very 1st official cake course, a 2 day intensive Beginners III with the legendary Handi from Handi's cakes. 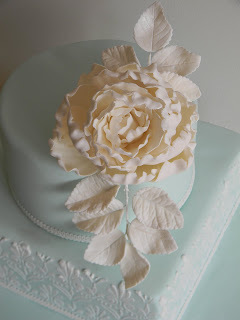 I had a wonderful time in class, met some lovely people and found it worth every penny I paid. 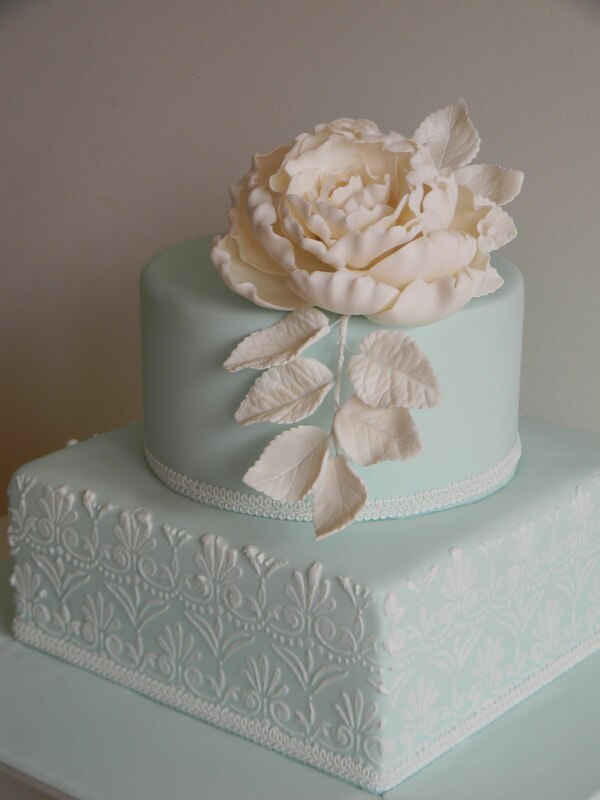 It was a real privilege learning from the cake boss/Guru Handi, he is a fantastic (and patient) teacher and I learned a lot! Here is my result after 2 days of hard work, a two tier choc mudcake (not baked by me) covered in baby teal fondant, and hand stencilled (1st time I've ever stencilled) by me. I even made the stylised Peony and leaves topping this cake, now you all know how much I HATE making flowers but I LOVED doing this! Handi made it fun, interesting and surprisingly easy and I must say I am quite proud of my end result. Ta-daaaaaa, Ok, Ok, ideally I should have recovered the bottom tier in white fondant, probably should have slapped on a thin black ribbon but hey, I ran out of time. The camera (cake) was very detailed so I didn't have much time afterwards to think of a solution to hide the indent on the square cake. 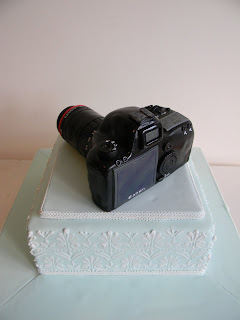 In the end it was quikest to just pop a cardboard (covered in fondant) platform on top of the cake and pop the camera on top of that. Probably not as pretty but I was desperate and I didn't want to waste the cake. Here is the back of the "camera", would have loved to have popped an edible image on the view finder but alas, again, I ran out of time. So instead I pretended the camera was switched "off" lol. 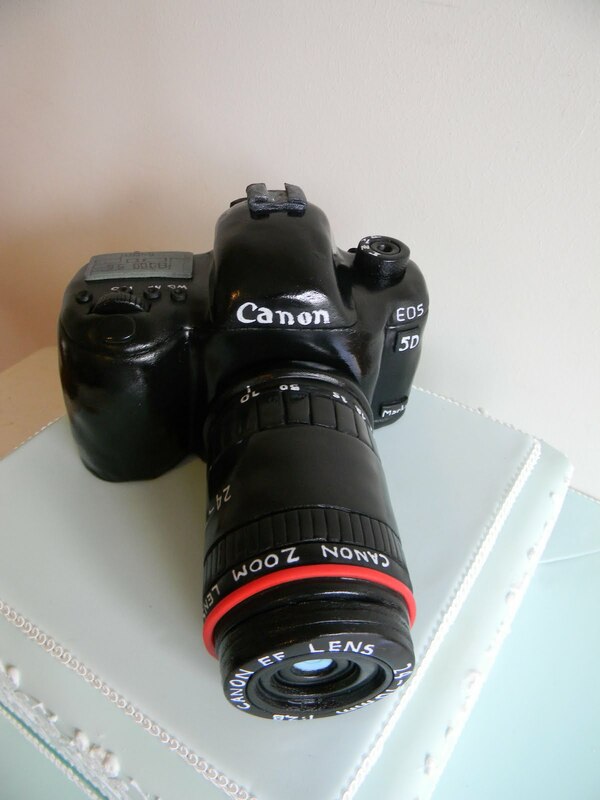 I have to say I am most proud of the Canon lens, it is as close to the real deal as I could make. 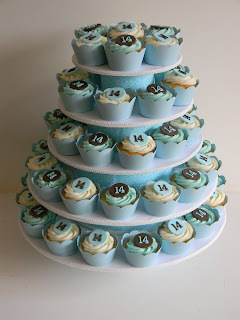 And because I wasn't busy enough I also decided to make 55 boy cupcakes for a 14th birthday party. Very happy with how they all turned out. Both cakes are AMAZING! Really really beautiful! Wow! 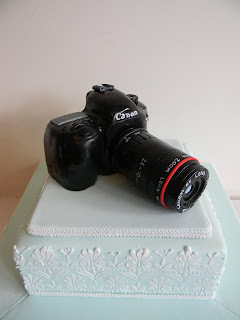 Just popped over from Clair's blog. Amazing gift, you are so talented. Okay, the camera is excatly the kind of things i could never do. Wouldn't you loke to make a step by step tutorial?? 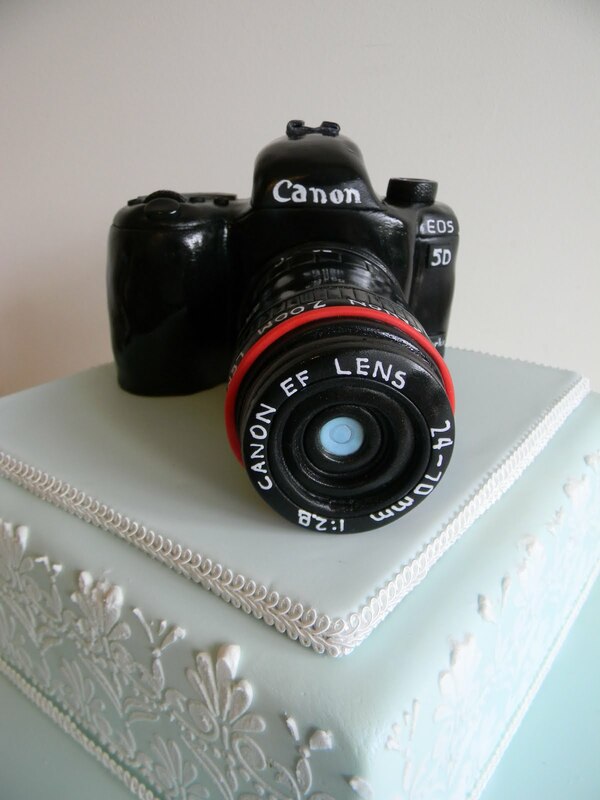 No need to La Dinette as there's a pretty good photo tutorial on Flickr ;-) just search on "camera cake" .